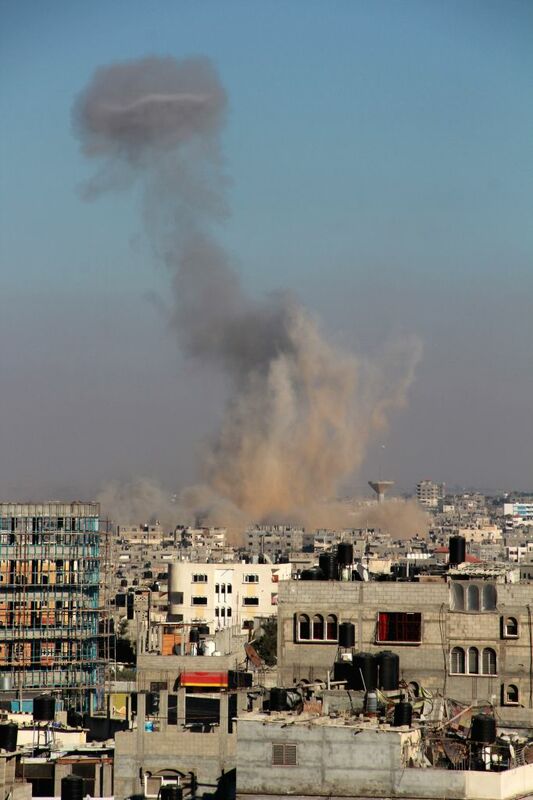 GAZA, Aug. 1, 2014 - Smoke rises after Israeli air strikes in Rafah, southern Gaza Strip, Aug. 1, 2014. A 72-hour humanitarian ceasefire between Israel and Palestinian militant groups in the Gaza Strip broke down on Aug. 1 less than three-hours after taking effect, with at least 35 Palestinian killed in the south of the enclave. 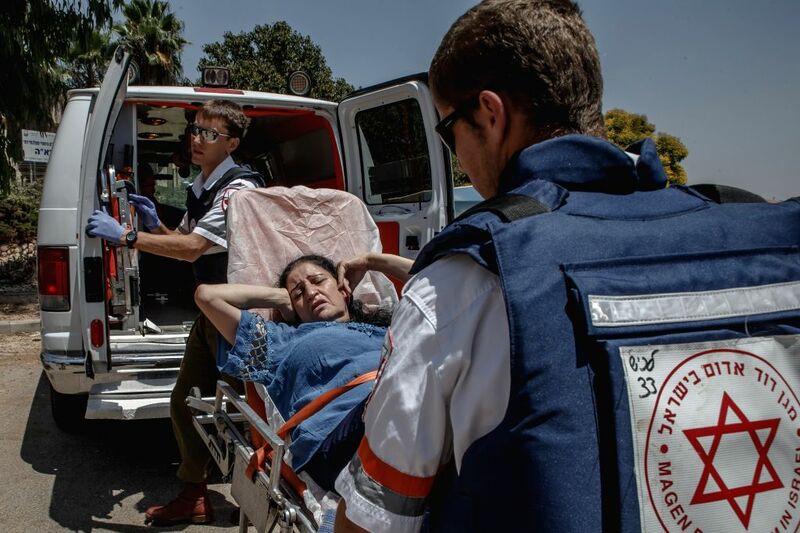 An Israeli woman receives medical assistance after a rocket fired from Gaza Strip fell outside a school in the southern Israeli city of Sderot, on July 31, 2014. The Israeli military said on Friday a U.S./UN backed Gaza ceasefire that went into effect earlier on Friday is over while military operations continued on the ground. 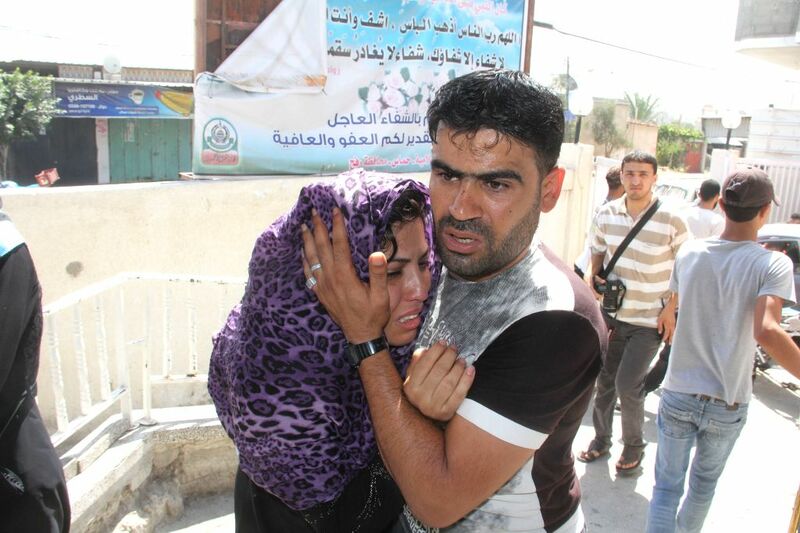 A Palestinian man comforts his relative after an Israeli air strike hit heavily Rafah city, southern Gaza Strip, Aug. 1, 2014.